DOT Secretary Berna Romulo-Puyat: When you visit another country, you also look for great food. It's always part of the itinerary. TAGUIG CITY - The best of Philippines' culinary destinations were showcased in the successful 9th edition of the Philippine Harvest. A joint collaboration of the Department of Tourism (DOT) and Stores Specialists Inc (SSI), the four-day food trade fair expo at the Central Square Mall on Bonifacio High Street, Global City focused on different food destinations and local flavors across the country. Local produce from the 40 local food exhibitors bannered in the food show included Balangay's Best dried pusit, dilis, and dangit from Bantayan Island, Cebu, C.O.P. pili nuts from Albay province, El Union draft coffee from La Union, Oro Verde mangoes from Guimaras, Fresh Start Organics piaya from Negros Occidental, Auro Chocolates from Davao, Casa del Formaggio cheese from Negros Island, Kajuayan Coco water from Quezon, and Sweets for Ferann silvanas from Dumaguete. "The way to promote a country is through its food, culinary tourism. You can, through Philippine Harvest, go around and taste the food from all over the country in just one place," DOT Secretary Bernadette Romulo-Puyat said. Farmers, fisherfolk, and farm practitioners were also invited for an interactive dialogue and local food exhibition. "Farms now are tourist spots. More and more people want to visit farms, plant, harvest, and to experience farming. We already have accredited farms that tourists can go to and experience agriculture," added Secretary Romulo-Puyat, formerly DA Undersecretary for Agribusiness and Marketing Regional Engagement. Among the growing list of 52 DOT accredited agri-tourism farm camps participating in the food and farm fair are Milea Bee Farms in Batangas, and Costales Nature Farm and Forest Wood Garden in Laguna. "We're just really grateful to be given this opportunity to showcase what we're doing at the farm Forest Wood Garden as well as in the resto Forest City Restaurant together to promote the food, our signature dish Pansit Kalabuko, and at the same time nakikilala â€˜yung city namin, San Pablo City," Food Wood Garden owner Myrna Katigbak-Frago shared. SSI president Anton Huang along with diplomats from Thailand, Vietnam, Cambodia, Singapore, Sri Lanka, Spain, Venezuela, France, and Nigeria graced the opening ceremonies in support of farm tourism and indigenous Philippine products. "We have given local farmers and Pinoy 'agripreneurs' a channel to showcase the Philippines' finest flavors and ingredients," said SSI president Anton Huang. 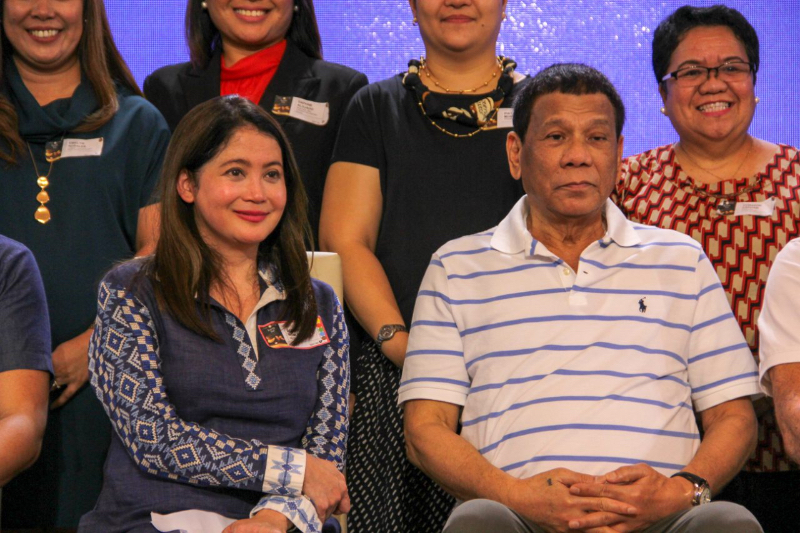 Secretary Puyat also shared that a good number of the diplomatic corps have not been able to go around the country to taste our food and they're so happy that they are able to finally taste the best of Filipino food which they can find in different culinary destinations.